Centro Direzionale is not exactly the catchy name you would think when referring to a fan-favorite place in Milano... Maybe the city inhabitants will recognize it, but most likely not a tourist! Then again, it is just a words-by-logic designation; more explicitly, it allocates the Business District of the city. In a somewhat curious way, it was only in the recent years that it surfaced with the futuristic, full-of-life vibe that today so distinctively marks the views of Milano. 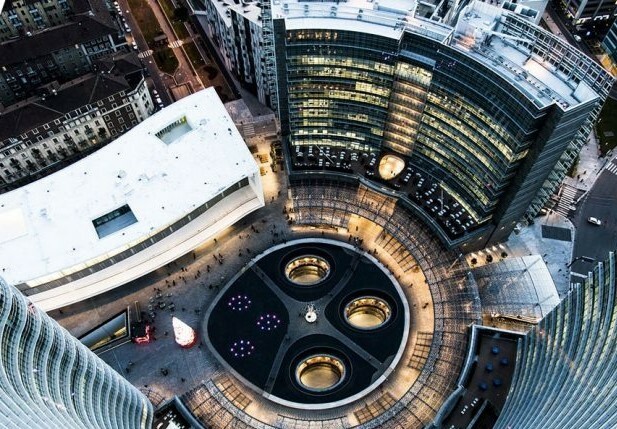 Thanks to its remarkable buildings, whether offices or urban residences, supplemented with shopping, cultural and exhibition centers, and beautiful walking pathways, Centro Direzionale has become a dazzling and inspiring go-to place in the city. The designation Centro Direzionale was first attributed in the 50's to describe a “new” quarter projected to direct the city center towards the north-west Milanese hinterland (and in link with the rest of Lombardia), where business and tertiary activities would be accommodated instead, in an attempt to reduce traffic congestion and improve the overall organization and regulation of the city. In order to support heavy daily commute, the Milanese plan of 1953 focused on major alterations on transportation infrastructures in the area, alongside the edification of many contemporary office buildings. But which area is this I am talking about? Before exploring that question, it is important to mention a bit of the historic context related to the growth of Milano. As most European cities after its primordial of existence, it was conquered by the Roman Empire (in 222 b.c) and expanded in between walls. The roman walls of the then-named Mediolanum delimitated what is now very well known as the historic center of Milano, paradoxically surrounding a much more recent piazza del Duomo (since its famous gigantic neogothic cathedral Santa Maria della Nascente was only constructed starting from the 14th century). Set within those walls were several main city gates Latin-named mostly in accordance to where they led to. Advancing through the Middle Age, and then the Renaissance period in which Milano was under Spanish domain, two new set of walls were respectively built as the city increased concentrically in size, alongside with ex-novo main and secondary city gates. Naturally along, the majority of the original constructions was progressively demolished, but we can still see today some distinctive remains around Milano. The six main gates associated with the Spanish period were rebuilt in the early 19th century for ornamental purposes (thus ditching its prior military association), as well as a new one was built comprising the neoclassic ex librisArco della Pace, when Milan became the capital of the Napoleonic Italian Kingdom. The relevance of these re-erected gates, not only as reference points for their respective nearby quarters, but as in their original sense of marking the various accesses of the city, continued through the mid-19th century’s Industrial Revolution by the implementation of railroads originating in their vicinities, with the corresponding stations generally receiving their name and becoming as well important hallmarks of the city. Throughout this time, interestingly enough, struck the political, cultural and social movement – Risorgimento – leading to the Unification of Italy and the proclamation of the Italian Kingdom in 1861, and several of the city gates were re-baptized, while other four new ones were opened to face the growth of commerce and traffic in Milano. From this point in time and through the first half of 20th century, the Spanish walls and bulwarks were almost completely destroyed, and a number of the city gates (but not all) got eventually lost in the successive redesigning of the city according to the regulatory plans for urbanistic expansion, which had a breakthrough in 1889 with Plan Beruto. Subsequent to these interesting facts comes to understanding the ring road display of Milano, bringing us to the contextualization of where Centro Direzionale was eventually projected: in the north-west outside surroundings of the past Spanish walls – Circonvallazione Interna – where two of the main city gates, i.e., Porta Nuova and Porta Garibaldi (Porta Comasina) were, and are still, located; onto the neighborhood of Isola, that at that time was physically and behaviorally separated from the rest of the city by railroads. Pulling back to that question of the railways, at the beginning of the 20th century they simply were not enough nor adequate for the growing number of travelers in and out of Milano. Stazione Centrale, which had already been built in 1864 to intermediate the traffic between the older stations of Porta Nuova (connections with Monza and Como) and Porta Vittoria (Porta Tosa) (connections with Treviglio and Venezia), replacing them both as it allowed the connection of all the lines surrounding Milano, had to be greatly restructured and relocated in adjustment to the new demands of the city, having seen its big inauguration in the 30’s. Nevertheless, the west-side section of the old central station, operating the railway tracks of the segment connecting Milano to Varese (that worked with the third rail system of electrification) and associated to the railway yard Farini, was maintained in business and renamed Stazione di Milano Porta Nuova. For the Milanese of that time, this modest station retained with purposes of serving the many popular holiday destinations near Varese represented summer leisure and an escape from the city’s rush and, in a sense, the War (that Italy entered in 1940 and played a visceral role as part of the Axis powers). Hence, the nearby neighborhoods of Stazione delle Varesine (as it was colloquially known) gained a very particular environment in the 30’s-40’s, notably still remembered as part of the “Old Milano” (Vecchia Milano). It was surrounding this very nostalgic yet sparsely underutilized area that Centro Direzionale was conceived later in the early 50’s to, once again, readjust the city to its needs. Accordingly, to evermore dislocate the growing traffic and business away from the center into the vaster and less occupied north-western district, a new city pole would emerge from scratch closer to Porta Garibaldi, pinned on the construction of another major railway station to provide greater connections for the Suburban and Regional lines from the hinterland and, hence, interconnect the city in a faster and more efficient way. 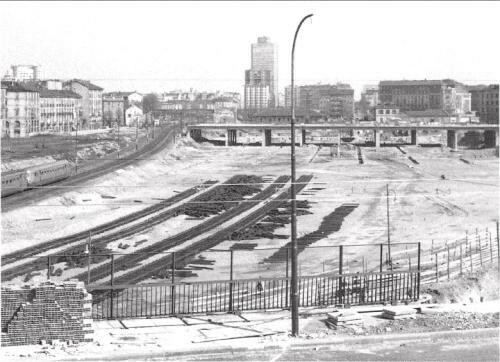 The construction works for Stazione di Milano Porta Garibaldi were indeed finished in the early 60’s, consequently ordaining the disruption of the old station Porta Nuova. By that time, a new metro line – green line M2 – was already being constructed to allow the linkage with Stazione Centrale and the rest of the city, thus generating a delocalized flux of the working class, which was also promoted by other relevant means of urban transport in the area such as the tramway network, for which the line Duomo-Porta Garibaldi had been a pioneer in the late 19th century. It is worth mentioning that Milano Centrale and Milano Porta Garibaldi railway stations are still today amongst the most important and busy ones, not only in Milano, but also in Italy, with a combined revenue of around 145 million passengers per year and a multitude of services at display. 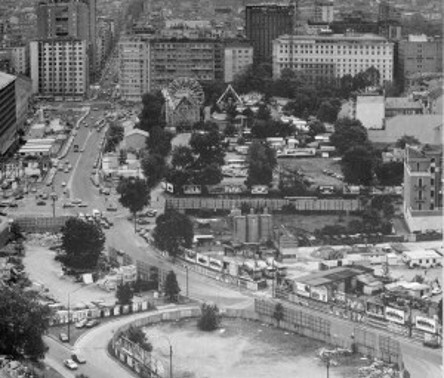 Although it seemed great in paper and was relatively well succeeded with the main transportation interventions, the proposal for Centro Direzionale faced many practical problems during the 60’s-70’s, largely derived from the absence of defined measures aimed at supressing the tertiarization of the center, as well as from the physical, environmental and social impact caused by the dismantle of the station Porta Nuova and the fastidious demolition of entire blocks and parts of the district the plan concerned. For instances: the half-destruction of the historic Corso Como and its walking-bridge connection over the railroads with Via Borsieri in Isola; the cover-up of the artificial water course channel Naviglio della Martesana in Via Melchiorre Gioia; and the emptying of the area “Le Varesine” along the newly opened Viale della Liberazione. 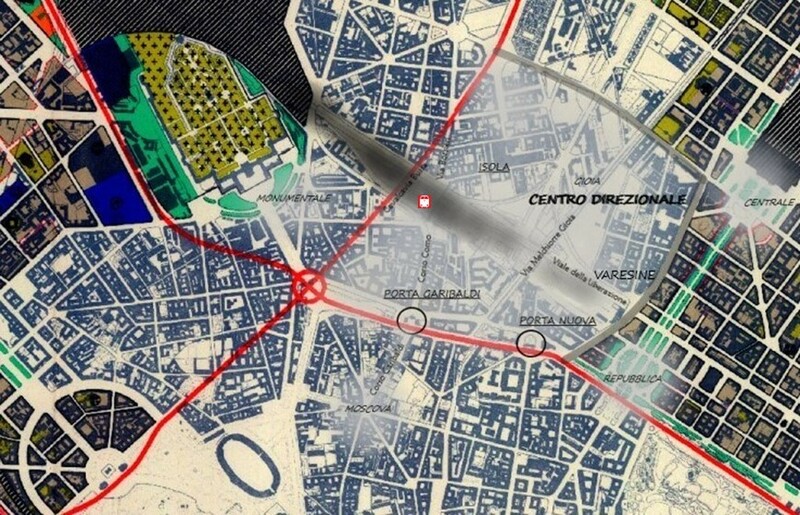 In fact, the plan turned out to be too ambitious and unsustainable for the time being, with some of its projects never having actually been implemented, as it happened with the idea of the two north-to-south intersecting urban large arteries, one of which would come across Isola and over Stazione Garibaldi to pass by Arco della Pace. Left behind from that perverse idea was a massive viaduct connecting Isola to Porta Garibaldi (Cavalcavia Bussa, named after a priest of Isola who was against the plan), which encountered a similar state of degradation and abandonment as the northern part of Corso Como, escalating Isola’s already down-appealing isolated and industrial feel. 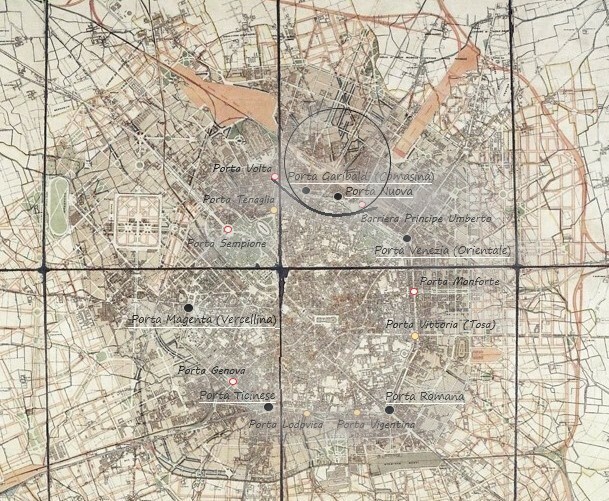 Remaining unbuilt and desolate in several zones, illustrated as well by “Le Varesine”, and with only some skyscrapers effectively erected in the meantime, yet looking quite disarticulated in the prevailing scenario, Centro Direzionale had its failure sanctioned in 1978 when the city authorities formally blocked ulterior disembowelments around the area, due to the strong hostility of the inhabitants and the unjustifiable costs of expropriations. Its original concept turned out to be a total urbanistic disaster, leaving the district highly disorganized and with buildings risen out of context, and in questionable architectonic quality, stuck on the Italian Rationalism style. By the time Centro Direzionale was declared of general interest, the area ex-Varesine had temporarily gained a Luna Park and would host for a while the itinerant circus coming to town. Throughout the 70’- 90’s, there was a revival of its reminiscent tradition of leisure (also taking the fact that the area was looking as if a piece of the western province had been planted back in the city), which marked fondly a fun childhood for many Milanese. 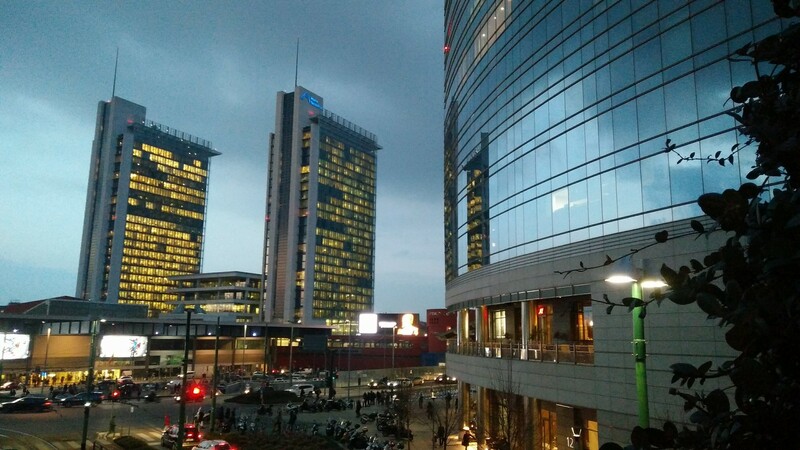 Want to know more on what followed for Centro Direzionale and how it looks today? Stay tuned for Part 2 of this article! All historic background was carefully researched from numerous Italian webpages of articles covering the subject and reported with known information from the city’s archives. This content has been entered in the Erasmus Travellers Competition and have earned 1607 points. After the proclamation of the Italian Kingdom, Milano continued to reinforce in the first half of the 20th century its finance, commercial and industrial dominance over the rest of the country, and also in the European framework thanks to its favored location close to the central potencies and attained by the adjustments to implement a good railroad system. During the post-WWII economic boom, time in which Italy became a democratic republic (1948), Milano saw a tremendous increase in its population as well, due to the strong migration from rural regions, namely of the South, as people would be seeking for better work opportunities and a more alluring lifestyle. 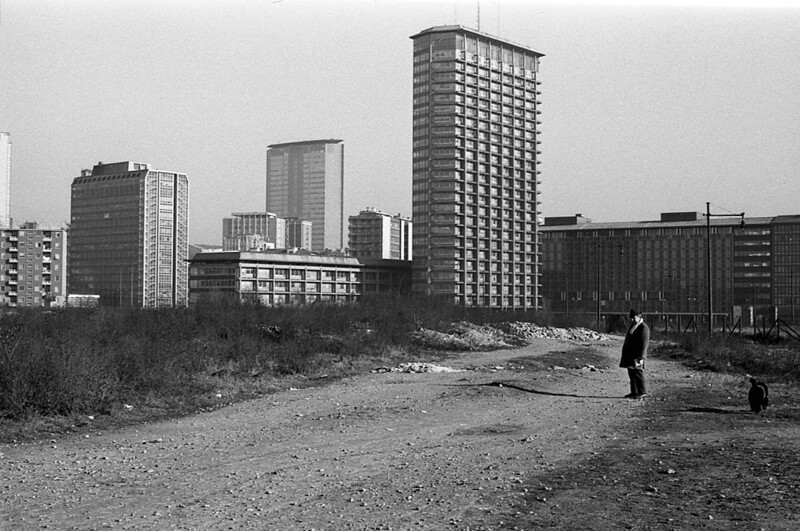 However, and in the simplicity of keeping it real, Centro Direzionale was an utter fail in what was supposed to be the reconstruction of Milano for the time being, sinking alongside some of the economic prosperity the city had gained. During the 60’s-80’s, a wave of political terrorism spread in Italy (and a bit all over the world, as a corollary of the Cold War), marking an era of colossal public protesting, street violence, labor strikes and civil conflict, by the hands of several far-left and far-right military parties opposing to the Democratic Italian Government. The Years of Lead (Anni di piombo) sentenced assassinations in mass and, more pertinent to the case here, introduced a decay in Milano’s manufacturing and industrial force, which also had a major toll on the intended expansion of the tertiary sector. 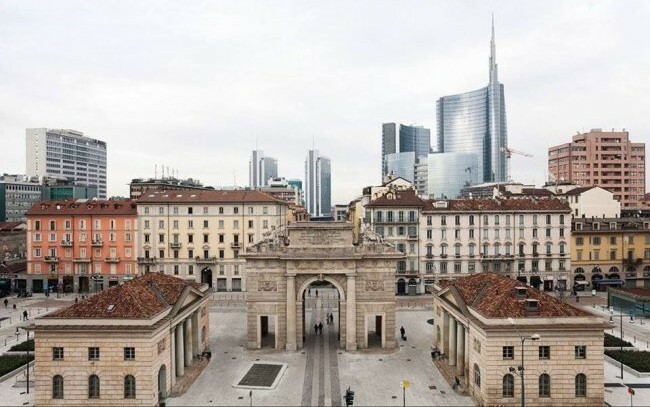 Luckily, a turning point came with the success of several high-in fashion houses, stamping Milano again in the international business and tourist scene and allowing the city to boost a market capitalization based on “white collar” sources of revenue (despite some corruption scandals). Entering the new millennium, Milano was evermore becoming a Worldwide hub for finance and banking, services, commercial activities, cultural offers, technological progress, information media, fashion and design, pharmaceutical research, etc which urged for a complete revamping of the city. Thankfully for Centro Direzionale (which was nothing but an ugly mess following decades of havoc and negligence), the 00’s brought an exciting revolutionary project of urban requalification, noted as Progetto Porta Nuova, that was achieved during the following years in its full extent, providing the much-desired successful darning of the quarters Porta Nuova (including “Le Varesine”), Porta Garibaldi and Isola. 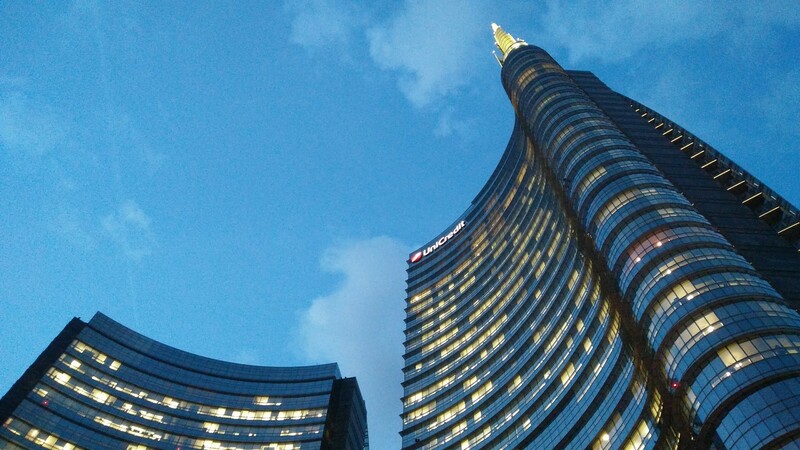 With this radical intervention of +2 million euros, majorly sponsored by foreign funds, Centro Direzionale finally saw its seven sky! Not only in height with architectonically impressive buildings, but also in extension with the installment of pleasant cycling roads, pedestrian walks and bridges, wide paved public squares and gardens, properly connecting an urban tissue that had so erratically been previously compromised. To this day, the only thing still really missing regarding the district is the definite advancement to regenerate the hideous overpass Bussa (turned a one-way road with sideline parking lots and an incomplete cycling road), that has never really inspired any desire or security of being crossed over. Although a winning project has been selected in 2015, parallelly to the main completion of Progetto Porta Nuova, its implementation keeps getting delayed. In prospects of being eventually finished beyond 2020, it would most definitely complete the vibrant atmosphere of the Business District and comply the final urbanistic and social redemption of Isola-Garibaldi. 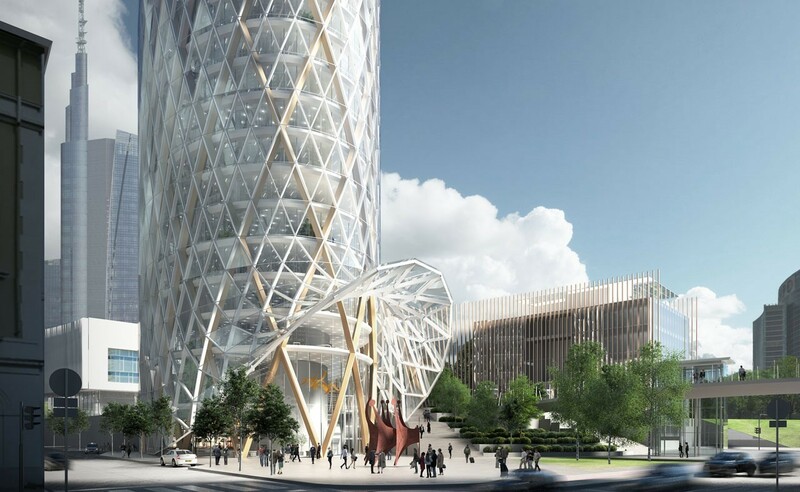 Across 340 000 m2, powered by the Qatar Investment Authority, Progetto Porta Nuova represents in Europe a very well accomplished model of innovation balanced with sustainability to promote the development of its associated quartiers. Divided accordingly by three masterplans: Porta Nuova Garibaldi, Porta Nuova Varesine and Porta Nuova Isola, the requalification’s biggest effect comes with their easy and safe interconnection via an enormous central green area, the public park Biblioteca degli Alberi, assisted by a continuous pedestrian and cycling road system, dedicated for both children and adults. What Progetto Porta Nuova brought to Centro Direzionale, making it such an exciting place in Milano these days, is a smooth juxtaposition of riveting in-height modern architecture (business and residential) with the revitalized nearby historic commercial streets and squares, giving space to a trendy environment where stores, cafés, restaurants, bars and night clubs pop up, captivating the younger crowd; not forgetting the supplement in cultural offer it gives to the city. Because of its materialized neuralgic location in the metropole, important improvements in urban, suburban and extra-urban transport connections were implemented through the recent years, successfully allowing the circulation of a great amount of people to this now-inviting space, weather going to work or home, sightseeing or simply spending their free time. One of the main features of Progetto Porta Nuova is, without a doubt, Piazza Gae Aulenti, right next to Stazione Garibaldi. Anything but a normal square, it features an immense “walking island” lined with artificial fountains, being surrounded by the 3-way complex Torre Unicredit that comprises the current tallest skyscraper in Italy, all courtesy of the architect Cesar Pelli. I couldn’t think of a better way to redistribute the old passage between Isola and the rest of city (via Corso Como), since it physically and spiritually centers the whole area between the quarters, in a way that has no flaw whatsoever in terms of conception and design, and that was able to surpass the technicalities involving the remains of the old railway tracks. 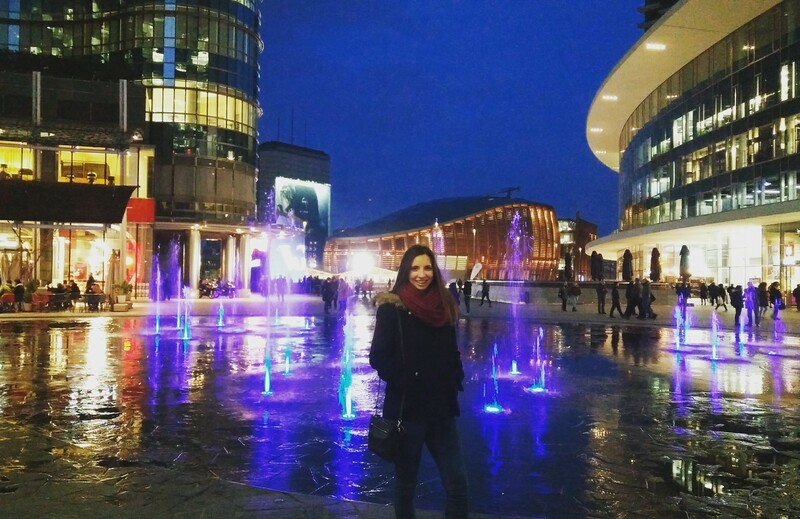 In fact, Piazza Gae Aulenti, known as “Podium” or “Fashion City”, introduced incredibly modern buildings hosting not only offices (associated to business, fashion, design, communication and production media, etc), but also stores, restaurants and spaces of leisure, that give life to Milano during both the day and the evening. Located in the perimeter we can find as well other features of the project, namely spaces created to hold conferences, concerts, exhibitions and seminars, such as Unicredit Pavillion, Armonica and Termosifone (the latter still under construction). Currently under construction until 2021 is Torre UnipolSai, set to be a functionally ecological residential building (even to include a system for rainwater recovery), accommodating in addition a rooftop panoramic garden intended for public and cultural events. Its innovative looks will resemble a geometric nest and will complete the desired futuristic vibe of Centro Direzionale. Coming from the square into Corso Como, we can have a look at the (in)famous luxury residences conceived to unify the urbanistic specificities of the historic Garibaldi neighborhood and the contemporary architecture, that every time, without exception, make us dream of one day being able to afford to live there. Oh, one dreams! 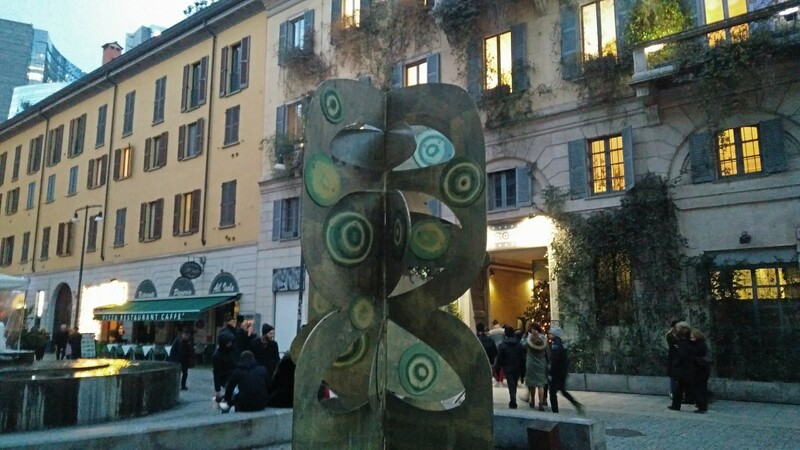 Corso Como is one of the liveliest and most iconic areas in Milano. Walking across the “old road” to Como, you get the sense of being in a historical place that has seen notable transformations over the last 150 years. Cover of the movement “Milano da bere” starting from the 90’s, that diffused the concept of Aperitivo, Corso Como continued to built on its previous commercial statute, being the perfect place to have a meal or a drink, or do some shopping. Accordingly, tt became home of “La Movida Milanese”, majorly sponsored in the last decade by the full-force renovation brought by Progetto Porta Nuova. This is undeniably one of the coolest places in the city to hang out with friends, being a stage of the nightlife in Milano. Always with Erasmus discounts, the multiple nightclubs of Corso Como promise limitless fun and excitement! And just as suitably, you can have a nice family lunch in the many typical italian restaurants serving homemade dishes that delight everyone. 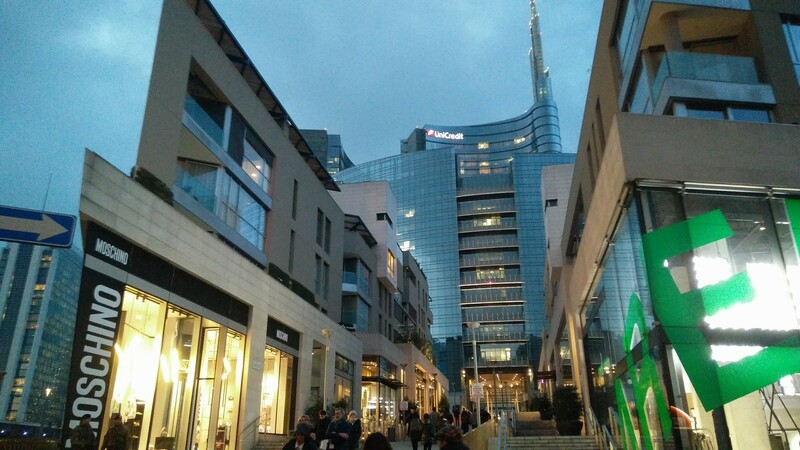 At the southern end of Corso Como, we can spot the majestic Porta Garibaldi in the middle of Piazza XXV Aprile. Named Porta Comasina until 1860, it was then rebaptized in homage to Giuseppe Garibaldi to celebrate his entry in the city victorious from the Battles of Varese and San Fermo, engagements of the Second Italian War of Independence that preceded the Unification. It opened the way onto the “old town” via Corso di Porta Comasina (per se one of the most important of Milano), which was renamed Corso Garibaldi and it is nowadays, evidently, another major popular, fashionable street. 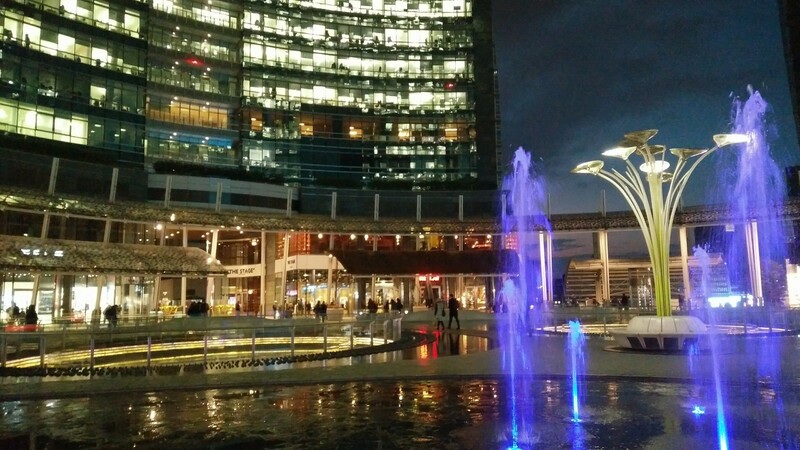 The remodeled colligation Corso Garibaldi – Corso Como, as result of Progetto Porta Nuova, guarantees a congenial walking connection between the historical center and Centro Direzionale, showing Milano at its best. Each of these places has a different purpose in terms of offer. All'Isola is the typical Italian restaurant, serving amazing Italian dishes. I think I asked for the lasagna when I went with my family, and it was one of the best I had... 10 Café is more of a posh place to meet with friends in the afternoon and chill out at the lounge while having a tea or a cup of coffee and a piece of cake or a panini. Chinese Box is said to be one of the best aperitivo places in town, with a wide buffet selection and delicious cocktails. With such a large amount of options to go clubbing, you really just have to pick one for the night and check it out... All places here listed have a pretty cool vibe and the music is to dance until exaustion with the commercial sucesses that we all know and love! Obviously, the style of each club is different: ones are more fancy, others more alternative, but what is always guaranteed is you having a great time. Besides the major train connections, Stazione di Milano Porta Garibaldi also supports the regional (R) lines and the suburban (S) transport. In the station complex are also included the metro links with M2 (green) and M5 (purple) lines. The area is also served by numerous bus (42, 53, 60, 82, 83), filobus (90, 91, 92) and trams (11, 29, 30, 33), all of which allow an easy access to other parts of the city. At the end of Corso Como you can also catch the metro, using M2, or use the bus service (43, 94). 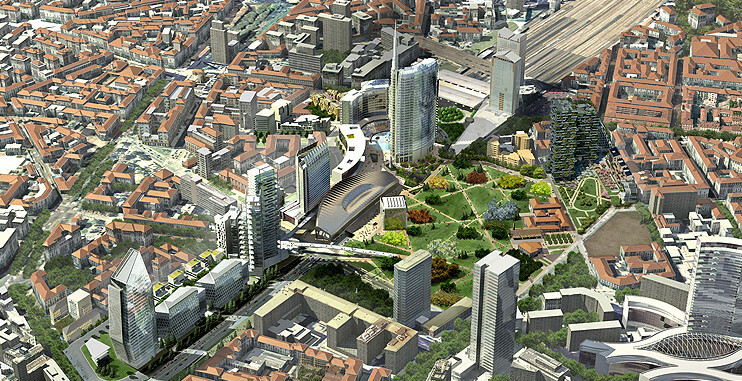 What about Porta Nuova Varesine and Porta Nuova Isola? Stay tuned for Part 3 of this article! This content has been entered in the Erasmus Travellers Competition and have earned 1431 points. Do you know Quartieri Porta Nuova - Porta Garibaldi - Isola? Share your opinion about this place.